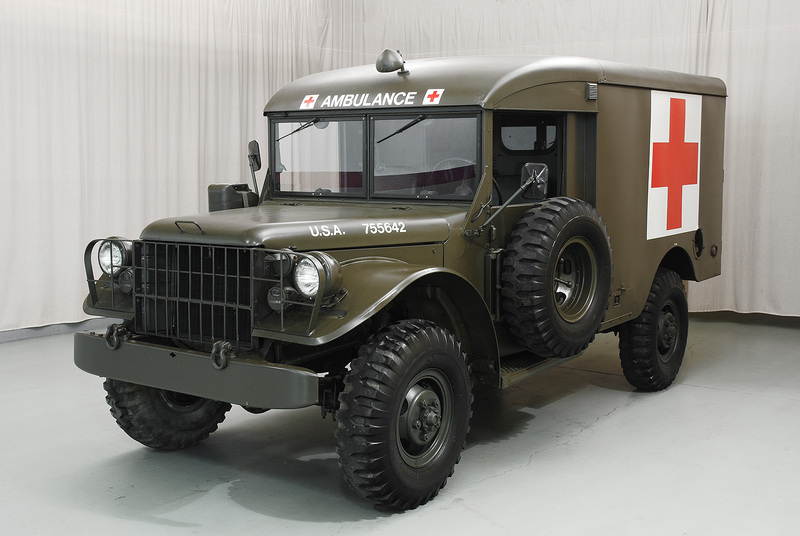 Roden has released a 1/35 scale M43 3/4 Ton Ambulance and here Kevin Brant reviews and builds it. Review is in line with my previous experience of Roden kits. Not a stroll in the park, needs some care and skill. If one is looking for top quality one must look elsewhere. I'm definitely no M37 expert but I thought the spare was supposed to be attached to a swing-out frame which sort of covered the driver's door, on both the M37 and the ambulance. Where have all the spare wheels gone? This one has remnants of the spare wheel holder still attached at the front edge of the door. Any aftermarket companies looking for an idea? I haven't got a good answer for why some do not have the holder for the spare wheel. The "blue" one is from some airforce museum so I hope it is correct. There are other images of "olive drab" M43´s but maybe those are all ex USAF, or some later owner removed the spare wheel holder? "The M37 began production in late 1950 and was superseded by the M37B1 in 1958. The M37B1 incorporates many small changes accumulated over the M37 production run. These included new electrical cables and connectors, magnetic drain plugs, revised canvas top and other items. Externally, the M37B1 is most easily recognized by the spare tire mount which as been moved from the front of the rear bed to the driver's side door. Dodge changed its internal designation from T245 to T245A." That location for the spare wheel was probably a nuisance, especially in an ambulance but having to move some of the cargo to get at the spare wheel must have been irritating. 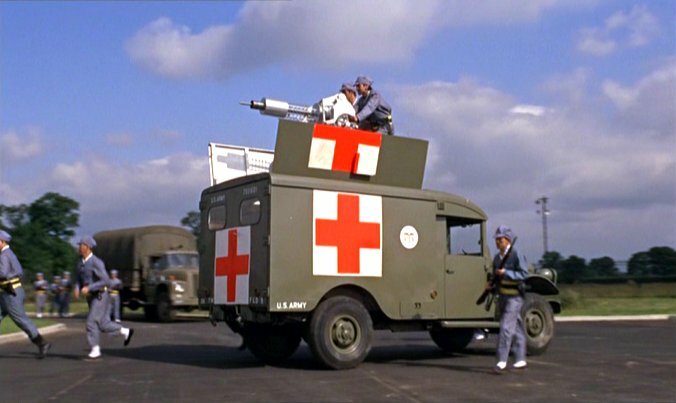 The M37 and M42 (command truck) have the spare wheel holder so a kitbash would produce an early M37 and a late ambulance. The main frame for the spare wheel holder is included on the sprues for the M43 but there is only four tyres and maybe the rim is also missing.